The Micromax Canvas 4 started being offered on preorder today and now we’re thinking about the Canvas 5 already. Well, designer Suman Chatterjee has something in mind and that something is called the Micromax Canvas Crystal concept. We’re dealing with a 5.2 inch Full HD smartphone, so we’re more in phablet turf than handset. This phone packs a 1.7 GHz octa core processor and the PowerVR Series 5XT graphics. There’s also 2 GB of RAM on board, 16/32 GB of storage and a microSD card slot. Micromax Canvas Crystal features dual SIM slots, 3G connectivity, NFC, Bluetooth 4.0, WiFi and USB 2.0. At its back we find a 13 megapixel camera with dual LED flash and upfront we’ve got a 3.2 megapixel shooter. Other specs include a 3000 mAh battery and Android 4.1.2 Jelly Bean is the OS. The camera comes with autofocus, face and smile detection and image stabilization. The interesting bit about this supposed Canvas 5 is that instead of using metal it relies on “super strong crystal linings”, that measure 3 mm and protect it from rough contacts. 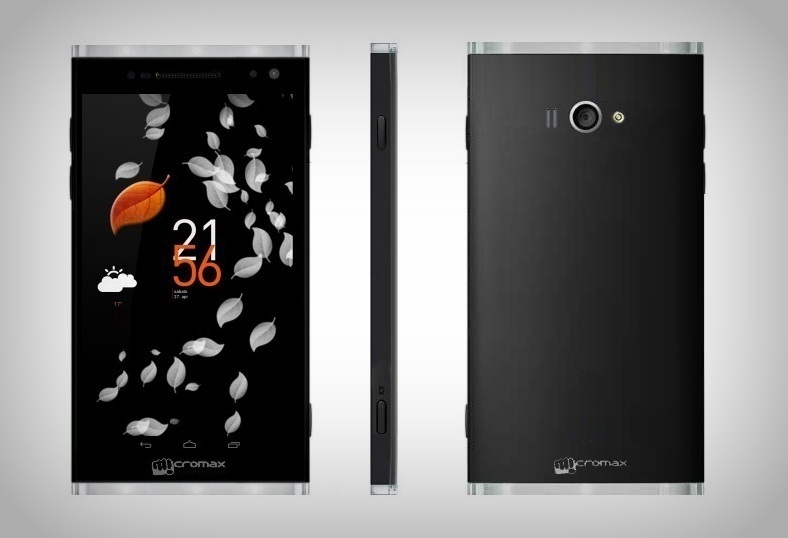 The screen is also protected by crystal and the body of the phone is dust proof and water proof. This design feels like an evolved Lumia of sorts and it’s well done.